When I was in college–heck I live in D.C. so even now–internships were coveted positions. Everyone applied to multiple internships for summer and semesters, and one year I beat out a pool of over 100 applicants to be one of seven unpaid interns at a tiny non-profit. It was a great experience to be sure, but that’s in part because we the interns were the company. We equaled full-time staff. For other companies, though, hiring interns may be more of an expectation than a helpful practice. Here are some tips for figuring out if interns are right for your business model. Hiring interns is par for the course in today’s world, but that doesn’t necessarily mean interns are right for your small business. Small businesses rely heavily on fluidly functioning systems to keep them running. A major key for the success of that small business efficiency is the company’s workplace culture. A productive intern program can help maintain that workplace culture, but a disjointed program, and the wrong interns, can turn free labor into more of a hassle and time waster–for both parties. Having a well communicated chain of command is crucial to maintaining your workplace culture with the addition of short-term employees. Before hiring interns make sure your team knows who reports to whom and who is supposed to carry out what tasks. This will make delegating projects to interns easier and more likely to be completed correctly. If there’s confusion in your workplace culture it may hurt your productivity. Additionally, if interns are unimpressed with your company and workplace culture, they may tell their friends, or take to social media platforms, to describe their poor experience. It may not do the job seeker any favors to bad mouth the company, but it won’t help your small business either as candidates may be hesitant to work for you and clients wary of working with you. Forbes offers some additional thoughts on whether hiring an intern is right for your business. Key things to look at include: what can your company offer interns; what skill set are you looking for; do you have the time to commit to the paperwork; and more. Hiring an intern can be mutually beneficial for both parties. However, if your workplace culture isn’t suited to short-term employees, interns may not be the right direction for your company at the moment. 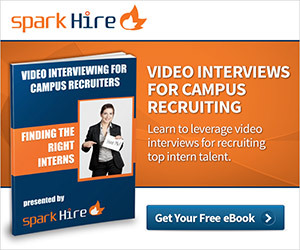 Did you take the time to make sure an internship program was right for your organization? Share with us below.